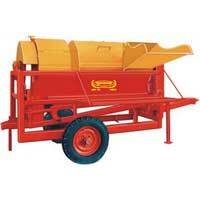 Features : Tractor is directly attached to thresher in working & transport position. 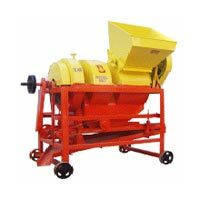 It helps to save time & Labor. 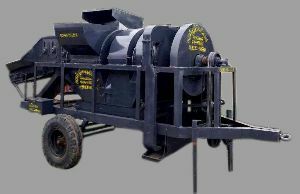 Suitable for threshing of crops like Wheat, Maize, Soyabean, Grams, Chick Peas, Sorghum Outs, Millets etc.Power : Coupled with 10 HP Diesel engine. 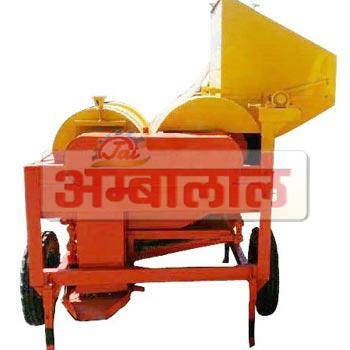 This is a self propelled machine. 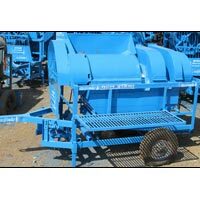 We are offering multicrop thresher mini tracter operated. 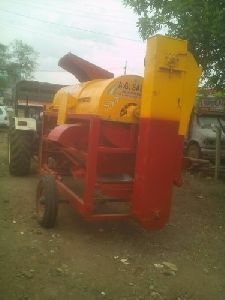 We Offer Multicrop Threshers Model - 250 Tf. 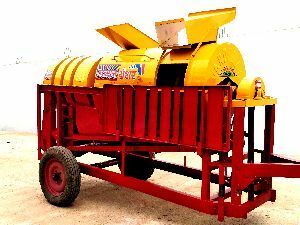 salient Features three Fan Arrangement is Given On Main Shaft Due to Which Wastage Tube Pieces Throws 10 Feet Away from Thresher, Results Seeds Output is Clean. 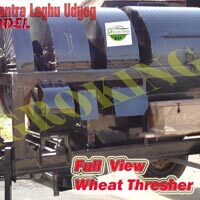 no Vibration in Thresher Because of Balance Techniques. 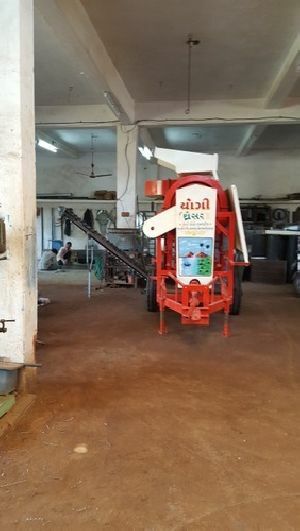 no Maintenance & Long Life. 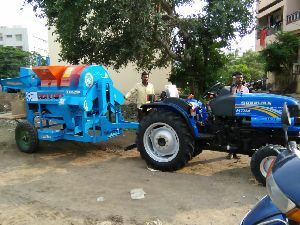 platform is Given On Hopper Side for the Operator. 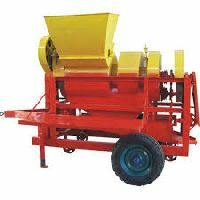 We offer Multi Crop Threshers Tractor Model are made from advanced technology and high grade material which gives accurate results. 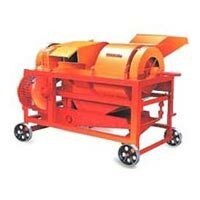 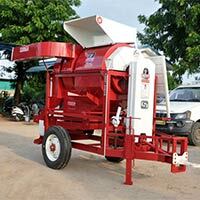 We are reckoned among the prominent Suppliers of Multicrop Threshers from Karnataka. 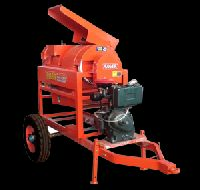 The Multicrop Threshers we make available is suitable for crops like wheat, soybean, pea, mustered, etc. 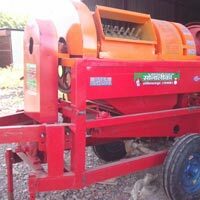 Our Multicrop Threshers are operated with 35 hp tractor. 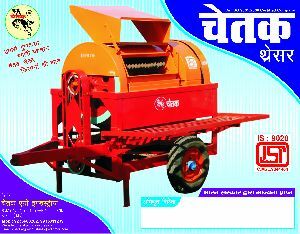 Multicrop Threshers offered by us have three sharp cutting blades with spike tooth cylinder. 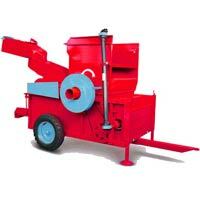 The entire range of the Thresher is reasonably priced by us. 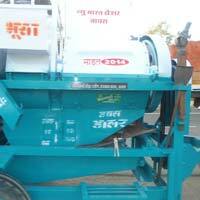 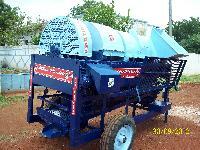 We are offering punni thresher is developed to suit large holding farmers and customers. 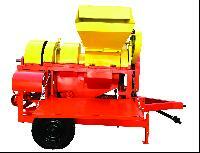 It is very suitable for crop like wheat, gram, soyabean, peas, mustered & pulse. 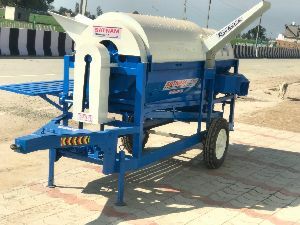 It is operated with 50 hp tractor it consists of conveyor of hooper with automatic feeding, which is drive by the multi-stepped pullies & belt. 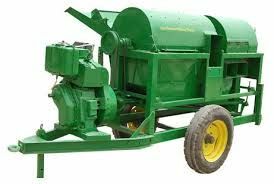 Neutral gear can be used if necessary. 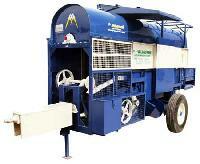 The thresher unit contains 258 sharp reaper blade cylinder. 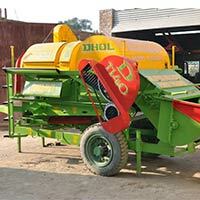 This thresher can thresh Wheat, Gram, Green Gram, Toria, Soyabean & Mustard Crop. 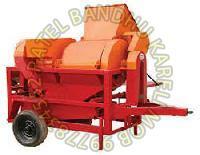 It is fed by belt conveyor. 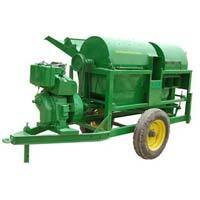 It is provided with safety gears system, It can be operated by 35 HP Tractors. 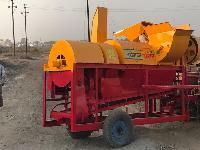 We provide extra pullies, jalies with this thresher.